Tickets still available for Salsa for Smiles! 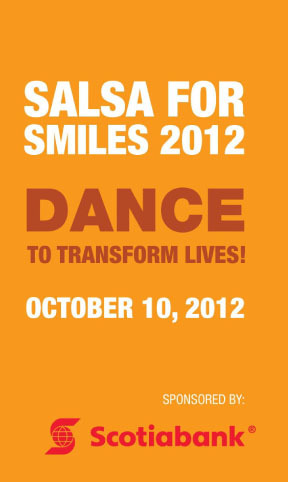 Tickets are still available for Salsa for Smiles! Advance tickets & Smile Supporter tickets will be available until noon EST on Oct. 10 via PayPal. Limited tickets will be available at the door for $30 (cash only). Proceeds go towards providing comprehensive cleft care. Need help planning your trip? Check out Lula Lounge’s website. On Twitter? Use #Salsa4Smiles to keep up with all the latest news. For more information, check out our Salsa page.